New research affirms Generation Z as an influential, values-driven demographic. Make no mistake, Generation Z is not Millennials 2.0. 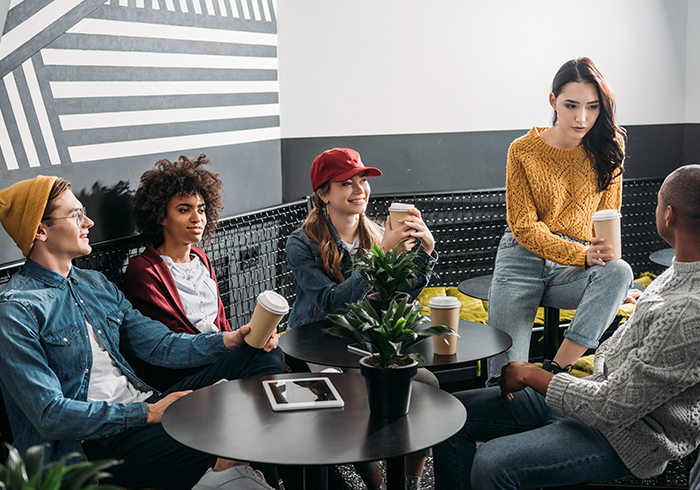 According to a new Barnes & Noble College Insights™ report, Conversations with Gen Z, the post-millennial generation known as Gen Z, account for 26 percent of the U.S. population — and they’re driven by values and strive to make the world a better place. Born in 1996 or later, Gen Z make sophisticated choices about identity, purpose and values. 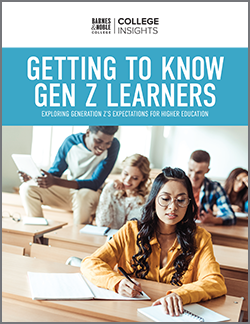 In its original report, Getting to Know Gen Z, Barnes & Noble College conducted research on middle and high school students’ expectations for higher education and explored their attitudes, preferences and expectations regarding their educational and learning experiences. Those students are now in college and Barnes & Noble College decided to take a deeper dive into who they are as people. 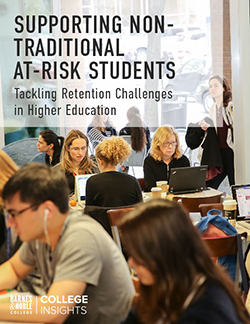 Conversations with Gen Z surveyed college students between the ages of 18-22 years to provide a compelling and intimate portrayal of this new student demographic, focusing on who they are as people — and examining their values, aspirations, struggles and ways of looking at life and themselves. 1. Identity – They define themselves by their individualism, kindness, empathy and their belief in themselves and their potential to do anything. Forty-nine percent (49%) describe their generation as opinionated. 2. Awareness – They’re more connected at an earlier age to national and international events through their engagement with social media — driving a keen sense of social awareness. Over three-quarters (76%) of students believe they are aware of current and world events and issues. 3. Responsibility – They feel a sense of responsibility to address critical national and global issues. Almost half (47%) believe their generation is more likely to feel personal responsibility to create positive change in the world, while 93 percent say they believe in standing up and helping others. 4. Agents of change – They see themselves as agents of change and want to change the world. Over half (56%) of Gen Z students try to participate in or effect social change by getting the word out or actively engaging with issues that matter to them. 5. Empowerment – They have found power in their individual voices at a very young age, in great part through social media. Nearly three-quarters (72%) say they are not afraid to say what they want or believe. 6. Acceptance – Gen Z feels strongly about acceptance and personal expression — and conveys this though social media. An overwhelming majority (91%) believe that all people are equal and that they deserve to be treated as such, while 86 percent believe people should have the freedom to be whatever or whoever they want to be. Want to know more about Gen Z and what makes them tick? Download the new Conversations with Gen Z report.